The Internet of Things (IoT) means connecting things and devices in order to create an omnipresent computing world. Things will exchange data and information about the environment, while reacting autonomously to different events, influencing the environment, and creating services with or without human intervention. The IoT is thus the extension of the Internet to the next level, i.e., bringing the Internet to the real physical world of things. Possible applications of the IoT are versatile and some examples are presented next. Health-related applications include e.g. assistance and monitoring of conditions of patients inside hospitals and old people at home. For example, a tiny, wearable device that can detect a person’s vital signs and send an alert to a healthcare professional if a certain threshold is reached or if a person has fallen down. Also, when an accident occurs, the victim’s medical journals are automatically made available to the ambulances to ensure that optimal treatment can be provided. Electronic tags can be used in drugs and drug boxes can carry information on adverse effects and optimal dosage, monitor the use, inform the pharmacist when new supply is needed, know incompatible drugs, and prevent overdoses. The IoT also offers many applications to home-environment, for example energy and water supply consumption monitoring in houses to save cost and resources, remotely armed home security system, control of temperature gauges, switching appliances on and off, controlling lightning, etc. Possible retail applications including e.g. payment processing based on location or duration in public transport allow customers to pay in department stores without using a cash desk, only by walking out with the products that have electronic tags, and advices in the point of sale according to customer habits, preferences, presence of allergic components, or expiring dates. The IoT has many potential applications in catastrophic prevention, for example, detection and warning of forest fires and earthquake and monitoring of vibrations and material conditions in buildings and bridges. In addition, smart cities and intelligent transportation are examples of potential future IOT applications . The term “Internet of Things” was coined by Kevin Ashton, executive director of the Auto-ID Center, in 1999. Different definitions for the IoT have appeared and the term was evolving as the technology and implementation of the ideas move forward. A number of countries or districts have realized the importance of the IoT in the recovery of economic growth and sustainability. Amongst them, the European Union (EU), the United States, and China are prominent examples. Academia has a relatively long history of IoT research. The IoT research in China has a strong support from the government. Several research institutes have been, and currently are, involved in far-reaching, government-supported, projects. In Europe, the academic research work in the IoT has been largely performed in different EU-funded seventh Programme Framework (FP7) projects. To better utilize the research achievements and to provide a place to share expertise, in 2009, the European Research Cluster on the Internet of Things was founded. The industrial activities in the IoT started around the same time as the academia, though the corresponding products were very sparse the first several years . Thus, a wide range of research and application projects have been set up in different application areas, the technical aspects of the future Internet are widely studied, and a lot of development work is done [2-5]. One of the most important challenges in convincing users to adopt this kind of all-around network is the protection of privacy [6-9]. Concerns over privacy can spread wide, particularly as wireless systems can track users’ actions, behavior and ongoing preferences. Invisible and constant data exchange between things and people, and between things and other things, will occur unknown to the owners and originators of such data. The sheer scale and capacity of the new technologies will magnify this problem and source suspect . Privacy problems, nevertheless, are not caused by the technology alone, but primary through activities of people, businesses, and the government . Several interesting survey studies have already been conducted. The results from an empirical study with 92 subjects indicated that the acceptance of IoT services is influenced by various contradicting factors, such as perceived privacy risks and personal interests. It was also assumed that legislation, data security and transparency of information influence the adoption behavior . Also, a survey with 475 subjects, focusing on the activities and habits that people do at home that they would not want to be recorded, was conducted, and bedroom was found to be the most private place . A study that investigated American, Chinese, and Indian social networking site users’ privacy attitudes and practices, based on 924 responses, found the American respondents to be the most privacy concerned, followed by the Chinese and Indians, respectively . 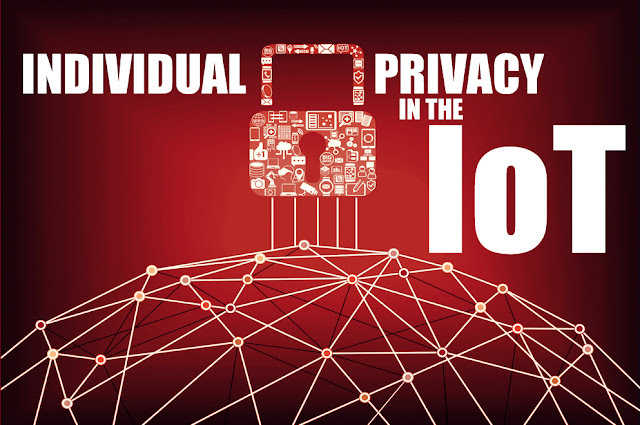 In our study, 22 people working with different aspects of research and development of the IoT were interviewed in Finland and in China, related to the IoT and the individual privacy in the IoT. This paper presents and discusses the collected answers and highlights of free comments. We feel that this research study brings a new perspective to this interesting research area. Most of the answers believed that we were heading towards the IoT and in the future it would be mandatory to be part of it somehow. According to answers, many future applications were seen tempting, but they contained great risks and thus individual privacy must first be ensured. Also individual privacy problems today were stated. In general, the answers from Finland were less worried about the individual privacy in the IoT than the answers from China. This was an unexpected result and the reasons for this definitely required more research work. Next step is also to compare these answers with answers collected from normal people. This future research also has to involve significantly more answers in order to achieve more meaningful results. L. Wu and P. Shao, “Research on the Protection Algorithm and Model of Personal Privacy Information in Internet of Thing,” International Conference on E-Business and E-Government, Guiyang, 6-8 May 2011, pp. 1-4. H. Feng and W. Fu, “Study of Recent Development about Privacy and Security of the Internet of Things,” International Conference on Web Information Systems and Mining, Beijing, 23-24 October 2010, pp. 91-95. D. Gessner, A. Olivereau, A. S. Segura and A. Serbanati, “Trustworthy Infrastructure Services for a Secure and Privacy-Respecting Internet of Things,” International Conference on Trust, Security and Privacy in Computing and Communications, Heidelberg, 25-27 June 2012, pp. 998- 1003. V. Oleshchuk, “Internet of Things and Privacy Preserving Technologies,” International Conference on Wireless Communication, Vehicular Technology, Information Theory and Aerospace & Electronic Systems Technology, Grimstad, 17-20 May 2009, pp. 336-340. T. Kowatsch and W. Maass, “Privacy Concerns and Acceptance of IoT Services,” Internet of Things Intitiative, 2012, pp. 176-187. E. K. Choe, S. Consolvo, J. Jung, B. Harrison and J. A. Kientz, “Living in a Glass House: A Survey of Private Moments in the Home,” Proceedings of the 13th International Conference on Ubiquitous Computing, Beijing, 17-21 September 2011, pp. 41-44. Y. Wang, G. Norcie and L. F. Cranor “Who Is Concerned about What? A Study of American, Chinese and Indian Users Privacy Concerns on Social Network Sites,” International Conference on Trust & Trustworthy Computing, Vol. 6740, 2011, pp. 146-153.